Three New England companies have developed Paleo-friendly granolas, using nuts and seeds instead of oats to form a crunchy base, lightly sweetened with honey or maple syrup. They’re delicious on their own, sprinkled on cut fruit, or even on a salad. In Brattleboro, Vt., Virginia and Peter Vogel of Back Roads Granola have been making certified organic oat-based granolas for six years. 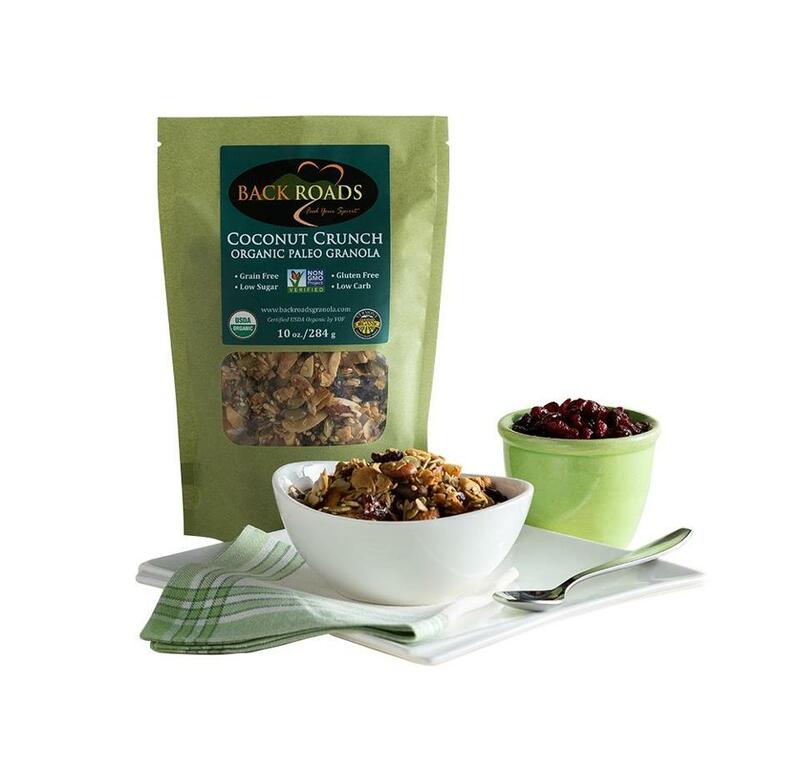 Last fall they added a Paleo Coconut Crunch (from $8.99 for 10 ounces), with coconut chips instead of oats. “People are into coconut and all its forms now,” Virginia says. It quickly became one of their best sellers, so they just introduced three more Paleo flavors: Maple Pecan, Apricot Chai, and Pineapple Ginger. Paleonola is at Whole Foods and Shaw’s, or go to www.paleonola.com; Maple Nut Kitchen is at Cambridge Naturals, 23 White St., Cambridge, 617-492-4452, or go to www.maplenutkitchen.com; Back Roads Granola is at Whole Foods and Russo’s, 560 Pleasant St.,Watertown, 617-923-1500, or go to www.backroadsgranola.com. Lise Stern can be reached at lisezstern@gmail.com.